We deal with conflict everywhere. Whether it’s at work, with our friends and family, or simply with a complete stranger, it just can’t be avoided, no matter how hard we try; stubbornness is a part of human nature. I’m not a fan of conflict. I usually try to run away from it and am always the first to apologise in an argument, even if I’m not in the wrong, purely because I find the tension of disagreement deeply distressing. To be so anti-confrontational is not one of my best qualities and in these situations I usually find myself bottling everything up inside and then inexplicably bursting into tears of frustration and anger. This was my week. Since we moved into our new pad five months ago, my bestie and I have had to deal with everything possible going wrong. From a shelf that fell on top of me a few days after moving in, to mice and bedbugs, we’ve been through the wars with this house. Worst of all, our landlords refuse to take any responsibility for any of it which means we have to battle for every little repair, for simple things that should be standard procedure. This kind of conflict in a place that is not just a house but your home is the worst kind possible; and being told that you’re a liar is frustrating, unfair and upsetting. Obviously, all of this stress is the worst possible thing I could ask for with my on-going health issues and I found myself in a complete hysterical sobbing fit on Friday, after arguing with estate agents and scheduling exterminators all day; but there’s very little that can be done right now, so I take a deep breath, we ride it out and wait for the next six months to (hopefully) fly by so that we can be out of this accomodation nightmare. 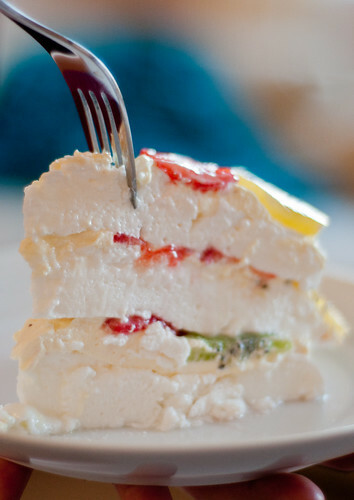 Australians and Kiwis have long had a dispute over who exactly invented the infamous meringue-based dessert, the pavlova. Whilst originally claiming that it was created by an Australian chef, Bert Sachse, in 1935 after a visit to the Southern Hemisphere by the Russian ballet dancer whom the dessert is named after, a few years ago new evidence emerged that it was actually Kiwi in origin, when University of Otago academic Helen Leach found a recipe for pavlova in a 1933 Mothers’ Union cookbook and another in a 1929 rural magazine. This conflict even had the Kiwi Prime Minister up in arms about it, declaring it “ridiculous” that Australia had laid claim to some of New Zealand’s iconic exports. A few months ago whilst David and I were on a homemade pasta kick, we found ourselves with a million egg whites leftover that needed to be used up. Pavlova seemed like the perfect choice, especially with two types of kiwi fruit and strawberries on hand, but David – being only patriotic when it comes to sport and food – declared that it had to be the Kiwi version and nothing else (“we invented the pavlova,” he told me firmly, “the Australians just stole it from us”). He found me a recipe by New Zealand’s version of Martha Stewart or Delia Smith, Alison Holst, and off I went. My pavlova may not have measured up to those of all the Kiwi grandmothers out there (and I would certainly never present it to David’s mother for fear of offending) but it was pretty damn good… and because we had so many egg whites it had three layers, so I still managed to put my own twist on it (“when in doubt, make it huge”). I think that’s the main thing to remember when dealing with conflict: a lot of the time you’re not going to end up agreeing but some things in life are just too small to let it take over. Like this recipe – who cares who invented the pavlova? It’s damn tasty either way. Recipe adapted from Alison Holst. 1. Sift the caster sugar, cornflour and salt into a clean, dry bowl. Use a balloon whisk to aerate and combine. 2. Add the vinegar and vanilla, then measure and add the egg whites, taking care to get absolutely no yolk in the mixture. Beat with electric beaters at high speed for about 15 minutes, until a thick, non-gritty meringue forms. When you lift out the mixer blades, the peaks should stand up stiffly, or just bend over at their tips. 3. Cover a baking sheet with baking paper (or use a silpat), then pile the mixture onto this into a round shape about 25cm across. 4. Bake in a preheated oven at 100 degrees C for 60 minutes, then turn off oven and leave for 30 minutes longer. Take out of oven after this time. 5. 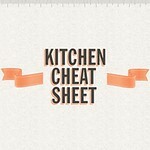 If making a three-layered pavlova, whilst one is in the oven repeat steps 1-4 for each layer. 6. When ready to serve, whip the double cream then place the bottom pavlova layer on a serving dish and top with whipped cream. 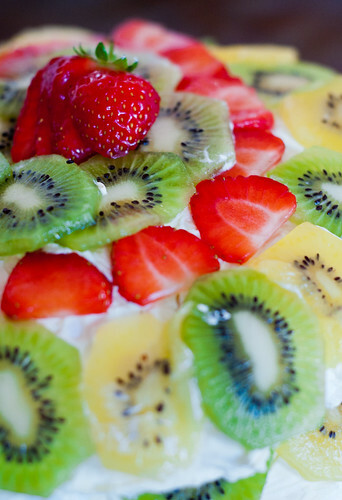 Decorate with strawberries and kiwi fruit in concentric circles. 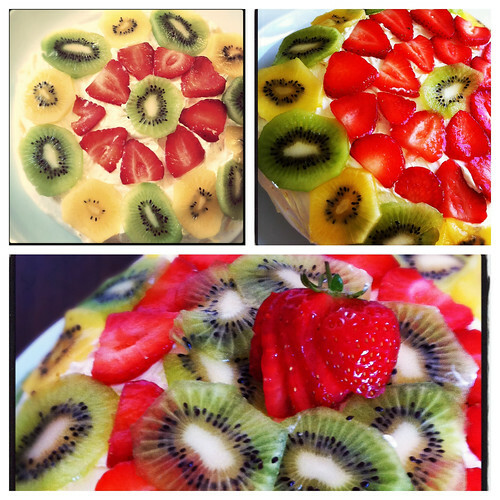 Place a pavlova layer on top, decorate with cream and fruit, then place the final pavlova layer on top. Cover the tops in whipped cream, using a spatula to help spread the cream evenly (as if you were icing a cake), then decorate with fruit. Keep the last strawberry whole and cut it into slices, keeping it intact at the top. Use your fingers to spread it out into a fan shape and place in the middle of the pavlova. 7. Use a large knife and cake slice to serve and enjoy one of New Zealand’s finest exports (no matter what the Australians say…). Not that I’ve ever made a pavlova before but would you believe I was dreaming about them last night before going to bed? I have some egg whites waiting to be used and I saw an old Martha Stewart recipe (circa 2001 from an old mag) that just screamed “make me!”. Yours looks all kinds of inviting and refreshing to me! Can you not just leave? Vote with your feet…? You’re right, some things aren’t worth fighting about b/c life is too short, but when it comes to living accomodations that you’re paying for, you deserve a stress and conflict-free environment. Hope it resolves itself soon and the next 6 months go by quickly. I’m sorry that you are having all these issues with your landlord. You definitely do not need the added stress right now and you shouldn’t have to fight to get the apartment you are paying for brought up to a livable standard. Hopefully the landlord agrees to pay for the exterminators and if not, I think I’d write a letter to the editor of the local paper about him/her and the state of the building and hope that it would get published. People who fail to own up to their responsibilities in cases such as these need to be held accountable. You are most likely not the first tenants that had to go through this crap. Yucky. I hate conflict. I wish I could just snap my fingers and make it all go away. You need to be as stress-free as possible right now. I’m praying that this all will get resolved as soon as possible. Thank you for still sharing with us. 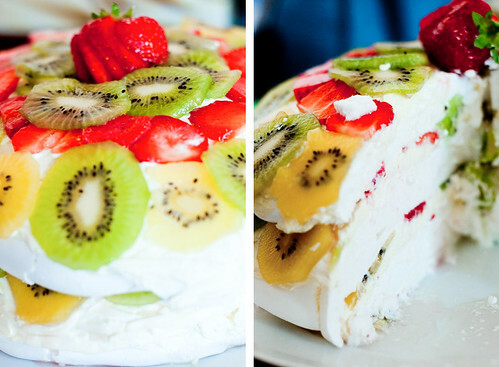 This pavlova looks so lovely. With colder days and nights, I find myself wanting to be in the kitchen more and more. Thank you for giving me another recipe to try. Much love from Austin.